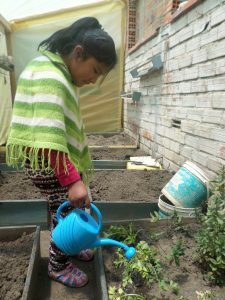 While most of Canadian Feed The Children’s work in Canada and the world is conducted in rural areas, in Bolivia we focus on children living in cities and their outskirts. La Paz has beautiful and affluent areas but it also suffers from tremendous income disparity. In some areas the poverty is so great that families live in slums that have no drinking water or sewers. People work tremendously hard to eke out a meagre living, but this unfortunately means that many children spend a lot of time on their own from a very early age (Bolivia has free public schools but most of them follow the split-day system, so children are in school only half a day). Without a home to go back to, or parents with available time to look after them, the children and youth who hang out in the streets are often hungry and often prey to crime and violence. The Educational Centre of Santa Maria Alpacóma, or the Alpacoma Centre, offers a veritable lifeline to the poorest children of La Paz. Run by Canadian Feed The Children’s local partner, The Sociedad Católica de San José, the Alpacoma Centre provides a well-resourced spot for local students to do homework, use computers, and play safely. The Centre also provides nutritious meals supplemented by produce from its garden. CFTC donors are making a huge difference by funding this safe haven for extremely poor La Paz children; the Alpacoma Centre makes all the difference in the lives of these little ones. Araceli contributes to the garden that provides her yummy meals! 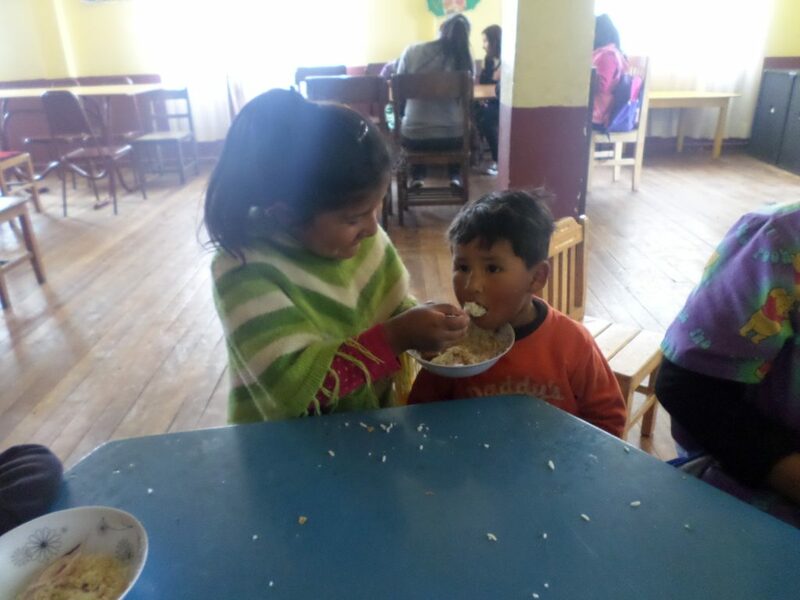 The Alpacoma Centre provides breakfasts and lunches to about 150 children who attend each day. Lunches are often supplemented by produce from the garden to which Araceli eagerly contributes: “My favourite meal is veggie soup because I love carrots; I can eat them naturally! 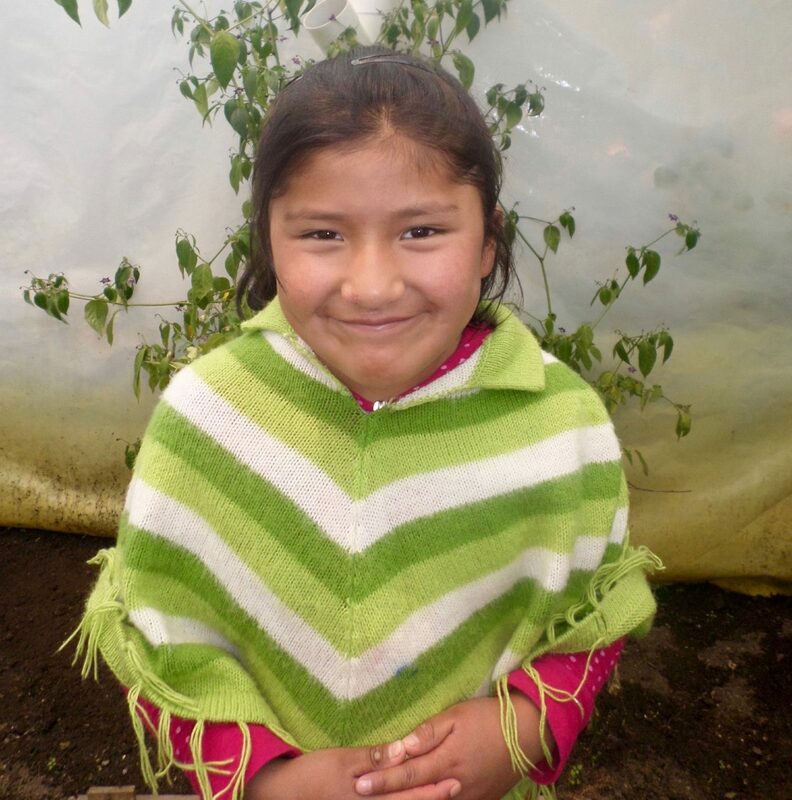 I have eaten the carrots we produced at the Centre garden,” said Araceli. We have found consistently that children who grow their own food take tremendous pride in it. The benefits of school gardens are multiple! Gardens are educational, keep the children occupied in a creative, useful, and hands-on activity, provide fresh and healthy produce that is often sorely lacking in their diets, and foster a sense of agency and pride in children who, because of poverty, often suffer from low self-esteem. Araceli loves meeting her friends at the Centre for lunch and walking to school together. They have fun, she tells us! The Centre also helps Araceli get her homework done properly: “I finish my homework at the Centre because my small brother breaks my notebook when I take care of him!” Oops! Children who receive are children who give. What a humbling lesson!